Let Selwyn's archivist, Elizabeth Stratton, give you a taster of the college archives. Every month Elizabeth selects a particularly interesting piece from the archives and provides an insight into its history and significance. 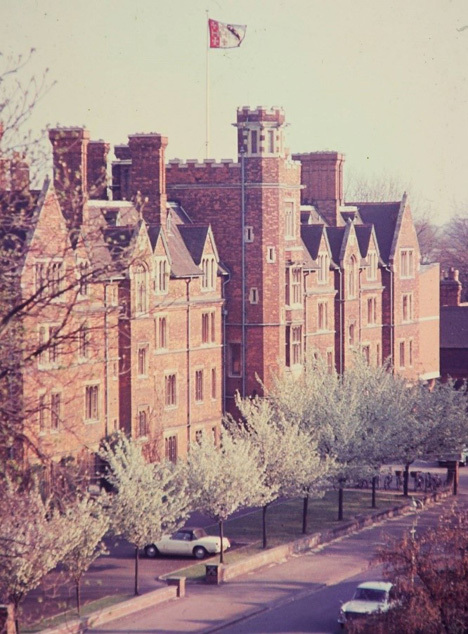 This month’s archive image features a photograph of the magnificent cherry blossom in front of the college taken by Andy Chenhall (SE 1968) from Cripps Court, probably in the spring of 1970. This photo was part of a large collection of images that Andy kindly donated to the college and he commented how film then was relatively expensive and every colour shot must have cost the equivalent of half a pint of beer. Andy was one of the first residents in Cripps and he described how after a year in Old Court, the rooms in Cripps Court, then virtually brand new, were a return to the modern world. Modern wiring and plugs, built in showers and toilets and good light. Perhaps what impressed him most was the quality of the building – the brass window frames in particular. 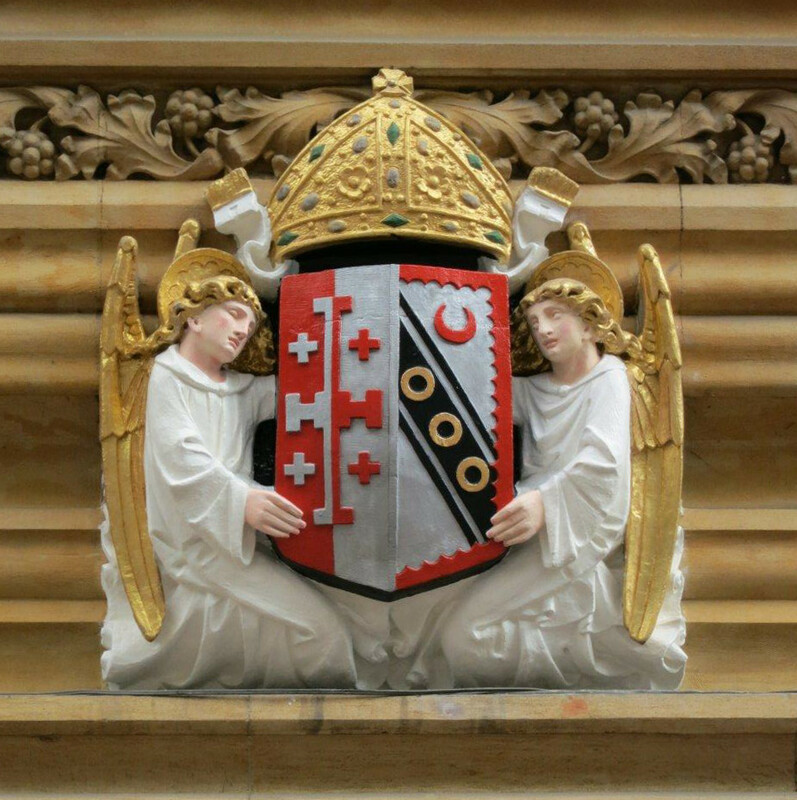 As always, any questions about the college archives can be directed to the archivist on archives@sel.cam.ac.uk. We are always grateful to hear from members of college about any photographs and memories you may have of your time at Selwyn and they can also be uploaded directly here. Previous archive images can be seen here. The Archivist is always delighted to arrange Archive visits and to receive Selwyn memorabilia, photos and stories. To contact Elizabeth Stratton, please email: eas51@cam.ac.uk.